Fabulous Friday Challenge - Something New! We are on the last challenge of the year and what a year it has been! We have enjoyed creating challenges for you and inspiring you to try new things as well as use up some of those supplies taking up valuable space in your creative areas! We are blessed to have an wonderfully talented design team from around the world and the most loyal, friendly followers out there! We are nearing 1000 followers and we are both excited and humbled that we have so many people that want to stop by Frosted Designs for inspiration and to play along! Thank you for making this challenge blog a great place to be! ﻿With the new year, there will be a few changes. 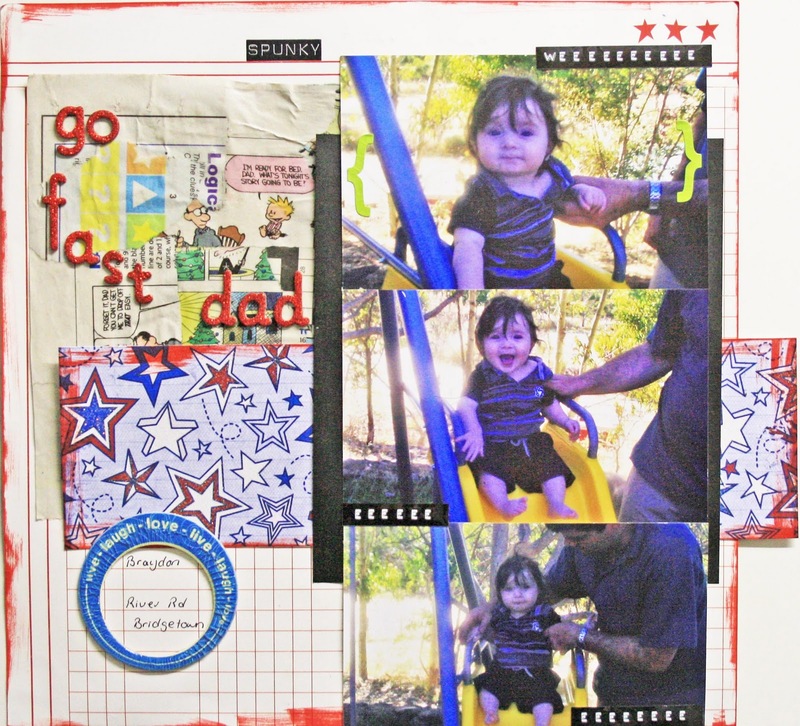 Last Tuesday you learned about Andrea becoming the new Sketch Along Tuesdays layout challenge coordinator. Today, I would like to announce that Amanda will be taking over as the Fabulous Friday Coordinator! Amanda has been a very active member of our design team for a while now and is also our sponsorship coordinator. She is going to do an amazing job in this new leadership role!! Congratulations Amanda! With the new year, we wanted a new challenge for you. 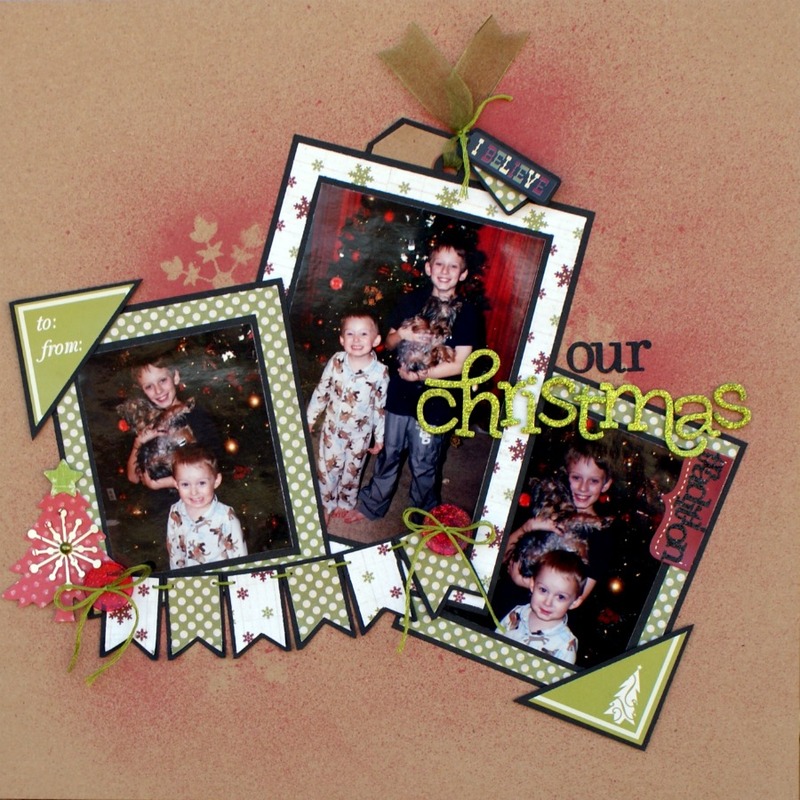 We want to see you do something new or use something new on your card, layout or project! This can be a new technique that you have seen and are wanting to try out or it can be a product that has been sitting around your craft room left unopened and untouched! As long as you can tell us what is new about your project, it qualifies for this challenge! Our design team has created some spectacular projects to get those creative juices flowing! New Idea: Stars inspired by a photo on Pinterest. There is a tutorial for it here. 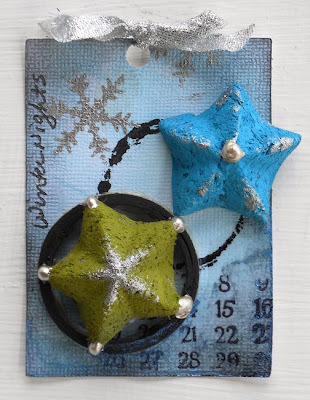 New Technique: paper clay pressed into a button to make the circles, then painted to match the colour combo. Come back tomorrow for a step by step tutorial on how to make this home decor project yourself! I don't know about you but I am blown away by the creativity of this team of designers! I know there are a few "must try" techniques here for me! We would like to welcome back The Paper Trail as this week's sponsor! "Hi everyone, my name is Karen Garbacik and I am the owner of The Paper Trail. 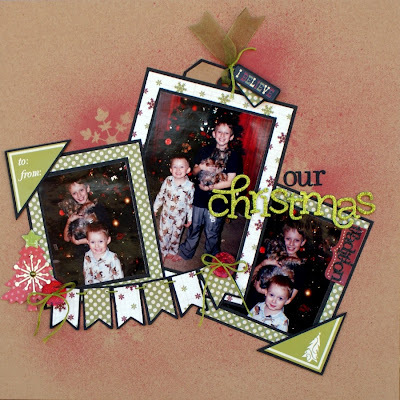 I have been paper crafting for over 13 years now and really feel that it is an invaluable service to my family and generations to come. I love the creative outlet it provides me and seeing the pages come to life gives me great satisfaction. 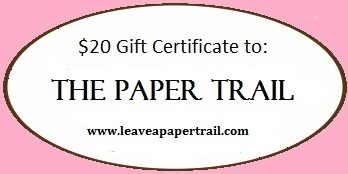 I named my store The Paper Trail because for me, scrapbooking is all about leaving a paper trail of you for your family and future generations to come. Webster’s dictionary defines paper trail as: documents from which a person's actions may be traced. Doesn’t that just sum up exactly what we do when we create a scrapbook page? We leave a trail of us – what we have done, who we are, etc. I have created this store so that you have options available to help you create the best trail that you can. Our products are a perfect way to get you straight to the process of creating! As well as help you enhance and add those special touches to your projects that make them personal to you. Karen has been a loyal supporter of Frosted Designs for a while now! If you have some shopping to do, please visit her store by clicking HERE! 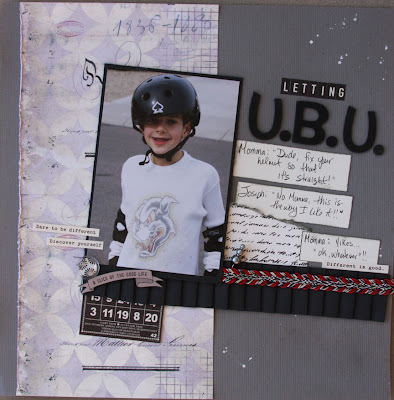 And you can go to her blog to find more inspiration by clicking HERE! Just think, you could win this gift certificate and then shop for some new stuff to start out the new year! Be sure to link up your project for a chance to win! Make sure you tell us what is NEW about your project! I've just finished my layout. Thank you for this challenge . I'm looking forward to seeing Lydia's tutorial. I love her project. LOVE The challenge and the inspiration! Thanks! I am almost ashamed of all the new things I get and then leave them to "marinate" instead of using them right away. For this challenge, I used a new pattern cartridge "Elise" and I also finally forced myself to use CCR - Thanks for the push! Thanks for the opportunity. I've been so excited about using that new paper. You have a very inspiring blog. I'll definitely be back to play again.